Anti-myelin-oligodendrocyte glycoprotein (MOG) antibody positive optic neuritis has been established as a new subset of optic neuropathy. Anti-MOG antibodies are usually measured by cell-based assay. Patients with anti-MOG antibody positive optic neuritis respond well to steroid therapy, and, while visual acuity outcomes are favorable, significant visual field defects remain. Furthermore, patients who are anti-MOG antibody positive have higher rates of recurrence compared to antibody negative patients. 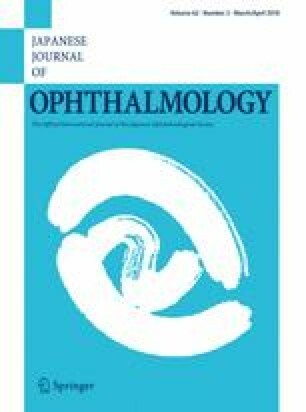 Based on these findings, anti-MOG antibody positive patients with optic neuritis have the characteristics of good visual outcomes, residual visual field defects, and high risk of recurrence. Tests for anti-MOG antibody are useful for the diagnosis and treatment of optic neuritis. We thank Ms. Teresa Nakatani for critical revision of the manuscript. This work was supported in part by Health and Labor Sciences Research Grants for research on intractable diseases from the Ministry of Health, Labour, and Welfare of Japan. T. Kezuka, None; H. Ishikawa, None.